LIVE: By Candelight. / papillon. 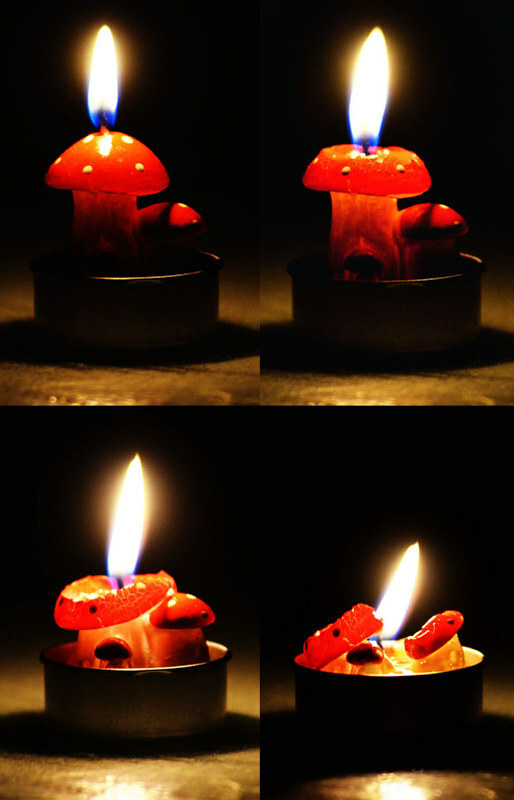 I bought this little toadstool tea light for 80p from the Christmas market on Monday, and wanted to document it before it melted away.